In a Q&A session following the screening of “If Beale Street Could Talk,” Brenda Alexander and husband Malcolm Alexander, client of Innocence Project New Orleans, discuss false incarceration with Jee Park, president of Innocence Project. Following up his celebrated, Oscar-winning hit “Moonlight,” Barry Jenkins opted to tell another moving and oft-forgotten story. 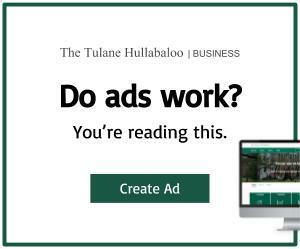 Weaving an intimate picture of black love amid a backdro­­p of wrongful imprisonment and the criminal justice system, his next film, “If Beale Street Could Talk,” is already earning critical acclaim. 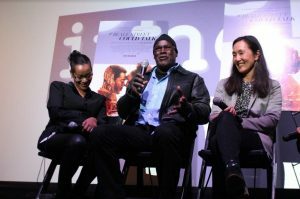 The Innocence Project New Orleans, an organization that works to free innocent prisoners, took notice of the film’s resonant themes and artistry, hosting a screening at the Prytania Theatre on Wednesday to celebrate it and open dialogue. Following the film, a panel featuring the film’s producer, IPNO’s executive director and a freed prisoner discussed the movie and its potential impact. Central to the conversation was the question of whether a film or piece of art could be viewed as a public good. Jeremy Kleiner, one of the film’s producers, questioned the altruistic value of films but went on to champion the power of storytelling. One of his goals in working on the film was to help Jenkins tell a tale Hollywood often neglects. Based on a novel by social critic James Baldwin and featuring an almost all-black cast, “Beale Street,” focuses on a 22-year-old undeservedly placed in prison. More importantly, it relates the love story of Fonny and Tish, two partners of passion, swallowing up the world of 1970s Harlem. “If this film, maybe plays a tiny part, it would be to present a contrary picture of the emotional lives of human beings to the one we’re told more customarily,” Kleiner said. “Beale Street” scored three Oscar nominations last week, including one for Best Adapted Screenplay. Jee Park, executive director of IPNO, wanted to publicly screen the film because, in addition to its elegant storytelling and expert cinematography, it puts on naked display the flaws of the criminal justice system. IPNO works to correct unjust policy and free individual prisoners using retroactive DNA evidence. It has seen the exoneration of 33 prisoners since 2003. Malcolm Alexander, a now-free man who spent 38 years in prison based on incorrect witness identification, sat on the panel with his wife Brenda. Louisiana State Representative Royce Duplessis emceed the discussion. 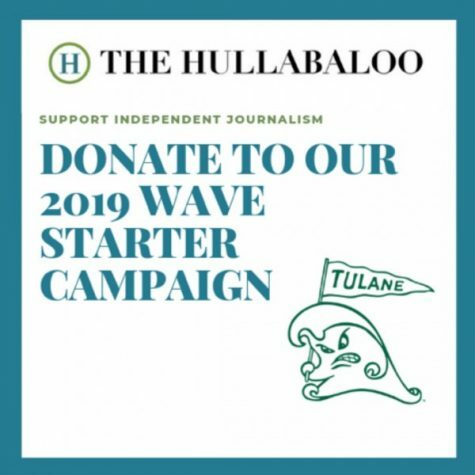 After sparking conversation around representation in film, the particularities of Louisiana’s sentencing laws and how films like “Beale Street” get made, he urged audience members to get involved politically and vote for judges and sheriffs that support criminal justice reform. Very nice piece, Josh, connecting local Innocence project to fine film on same subject.